Are you running out of space where you can store your business files as well as equipment and other items? Then, don’t worry! Macy’s Mobile Self Storage got you! Are you looking for the right place where you can store them while you are having a renovation or planning to have a move? Then our facility is perfect for you! We provide different types of depot module that will suit your needs. Business storage Sydney can help you maximise the space that you have by keeping some of your stuff for the meantime. And if you think you still need more time in managing your office documents and items, then feel free to extend your lease of the depot with us! Business storage Sydney can bring lots of benefits to you! We can guaranty the security and safety of your items while being stored in our storage units. Thus, you can operate your business smoothly and efficiently since you already have enough space to organise your products or documents. Not only that but this is also a good opportunity to replace the old equipment with new ones such as photocopying machine, printer, desktop and so on and so forth. Macy’s Mobile Self Storage is open to accept loyal and potential clients in any seasons! We have a great team who will assist you along the way from choosing the right depot you need to the day you start storing your items on our facility. We can make sure that your stuff is being taken cared of while it’s on our premises since one of our main goals is to keep them away from getting damaged. Of course, that is what you, as a client, want to guaranty too once you start handing your items to us for us to keep. Whether you are looking for a personal or business storage Sydney, we can give you the right unit you need. When choosing a depot facility, there are many things you have to consider. Some of it are the rates, the terms, capabilities to keep your stuff safe and secured, etc. Good thing, Macy’s Mobile Self Storage can provide all the good things you demand when it comes to a depot unit. And when it comes to business storage Sydney, we value your things as if it’s ours. So, you don’t have to worry about them being away from you while you are running your business. You can always access them anytime you want! Isn’t that convenient? No matter what size you need, a small or big depot unit, we have it for you! Finding the right one for you is easier when you know what you are looking for. There are some factors that you have to check which our professional team can help you with. Just let us know what are the items you have to store, your budget as well as the time frame you need when keeping the stuff. Don’t worry because you can actually extend your lease contract with us anytime. 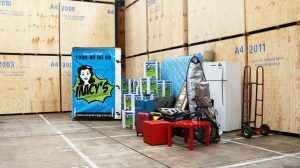 As mentioned above, Macy’s Mobile Self Storage can provide you with a business storage Sydney for your important stuff. Such as records, products and equipment that you have to be removed or replace on your place. If you are planning to have a renovation or move, hiring professional movers can be a huge help to avoid you and your team getting injuries. Especially when you don’t know the proper ways of lifting and organising them. Macy’s Mobile Self Storage has the perfect depot facility that can definitely secure and keep your items safe. Especially when choose to have business storage Sydney. We also provide convenience in different ways! Such as offering you packing items if you don’t have any, giving you ample time to pack your stuff and even offering you great deals is included. Visit our blog section for more details about our depots. You can also find helpful tips and hacks that might work for you in the future. This entry was posted in Storage and tagged business storage, business storage solution, self-storage business.